The trend of getting custom sports T-Shirts has become even more widely popular in recent times. Despite the fact that it’s a common myth that custom sports kits provide your team with a more ‘professional’ look, they do, in real time situations, give the players more comfort and also creates a fashionable look which can provide a huge morale boost for the players and for your employees (assuming that it’s a works team that they’re playing for). Before you consider getting custom sports kits for your team, there are a few considerations that you will need to take into account. 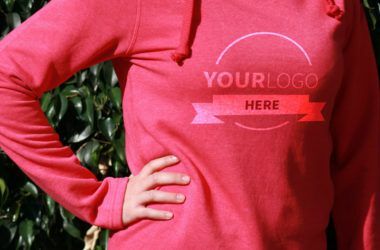 I think it goes without saying that it’s always recommended to use a high-quality printing company to create your custom apparel as we understand the limitations of the different clothing and the different printing techniques which can create the best custom clothing to ensure maximum comfort is provided to all the players, all of the time. The first consideration that you should take into account when you’re designing the kits is that you’re making sure that you’re picking the right material. As the shirts will be used to play sports, you want something that is flexible and comfortable while also allowing your skin to breath while you’re working out. Choosing a material like nylon isn’t recommended as it’s a clingy material which, when sweating, will stick to your body and will cause discomfort while playing the sport. Also, the inks that are used on nylon tend to be heavier and have a stiffer feel to them than other plastisol inks so they’re not regarded as the best inks to use – unless, of course, you’re looking for that kind of finish. Cotton, on the other hand, is a great choice as the material prevents excessive sweating and is also a great option for printing logos and players names on the bag of the T-Shirts. The best choice is polyester as the material is manufactured to by strong, quick drying and also wrinkle resistant. It’s also designed so that it holds its shape and it also holds up well after washing. Colour contrasts and combinations also matter a lot when it comes to creating custom printed sports T-Shirts – especially if you’re trying to create shirts which support your brand, company or sports team. Generally speaking, a plain colour is usually used as the base colour on which different logos and patterns can then be added to. For example, you could use a plain black T-Shirt with a white logo on the top which could work really well. Lots of companies and sports teams tend to use bold colours to create trendy, eye-catching prints which make their team stand out. This could also help with branding and recognition as well. The printing technique that is used is also incredibly important – more so if you’re looking to order your sports shirts in bulk. Broadly speaking, screen printing is the best technique to use when you’re looking to create large quantities of the same shirt. This is because, over a large run, the set up fees are reduced dramatically and it’s also one of the quickest printing techniques as the same screen can be used over and over again. 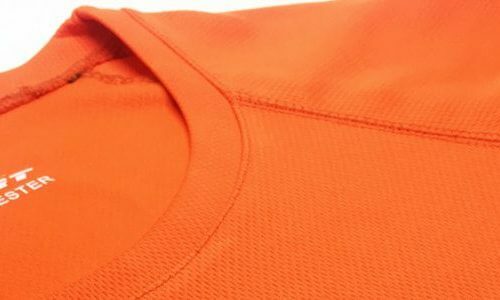 Transfer printing is another good technique if you’re looking to create custom sports T-Shirts but the process of transfer printing includes heat pressing your design onto the shirt which then leaves the print ‘on top’ of the garment. One example of transfer printing onto sports shirts that we have is when we created the football shirts for the players of Leyton Orient FC. Leyton Orient is a football team currently plying their trade in the fourth tier of English football – also known as League Two. As a result of legal issues with the company that had originally sponsored their football shirts, they needed to have the original sponsor covered up before their next league game. in place of the original sponsor, the club wanted to print a charity logo on the shirts instead. The difficulty with this challenge was the timing which was too tight to remove the original old sponsor from the front so we had to use transfer printing and a covering flock to cover up the old logo and then, using transfer printing again, we placed the charity logo over the top of this. The downside of doing this is that it can add additional weight to the shirt which can cause it to feel heavy and affect the performance of the players as wearing heavier shirts could become more uncomfortable for them while they’re playing. Luckily, the shirts were fine and they didn’t have any affect on the player’s performance at all – in fact, they went on a 4-game unbeaten streak. “Garment Printing were extremely helpful in producing and applying logos to our first team shirts. This was something that had an extremely short turnaround and the service we received was nothing short of first class. As you can see from the testimonial given, using transfer printing meant that we were able to print the shirts in a quick turnaround time and at a competitive price as the same design was repeated across all of the shirts worn by the Leyton Orient players. Cost is obviously an important consideration for any company or team that’s looking to create their own custom kits. 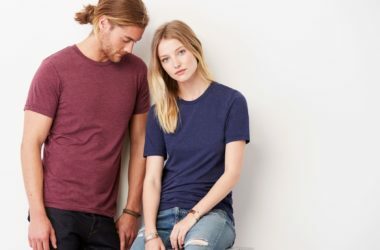 Usually, ordering in bulk is the most effective way of creating the kits as the cost per garment and the printing technique will reduce per item the more you purchase. This is because the set up fees for the printing technique will reduce with each garment as the cost is spread out. Also, buying in bulk will ensure that you’re taking full advantage of the price break system that we have. It’s also important to factor in your design and the impact this can have on the overall cost of your order. For example, if you’re using screen printing and your design features four different colours, we need to create screens for each different colour to make sure that they’re printed correctly and the colours don’t run into each other. Creating multiple screens means multiple setup fees and this will push up the cost of the order – although it will be cheaper if you’re ordering in bulk as the cost is spread across all of the garments. The same is true if you’re looking to get embroidered logos on the shirts as the more colours you use in the design, the moire the price can be affected. As you can see from above, there are a number of different facts that need to be considered when you’re creating your own custom sports kits. If you’re thinking about creating kits for your football team, your company’s sports team or any other reason, get in touch with us and let us know what you need and we can recommend the best garments and the best printing technique to suit your requirements and your budget. What makes Garment Printing one of a kind for clothing printing?